The Galaxy Tab S4 shows up in all our previous reports about Samsung's Android 9.0 Pie update plans, so we definitely expected the tablet to receive the update at some point this year. Apparently, the first Samsung Galaxy Tab S4 users to get it are located in France, a thread on XDA Forum confirms. According to people who updated their Samsung Galaxy Tab S4 tablets, Android 9.0 Pie contains the following: OneUI 1.1, March 2019 security patch, Digital Wellbeing, and Dark Mode (Settings). Of course, these are just some of the extras that Samsung has included in the update, but you can expect many more. Now, it will most likely take some time for the update to arrive in the United States, so don't be disappointed if it doesn't show on your tablet yet. 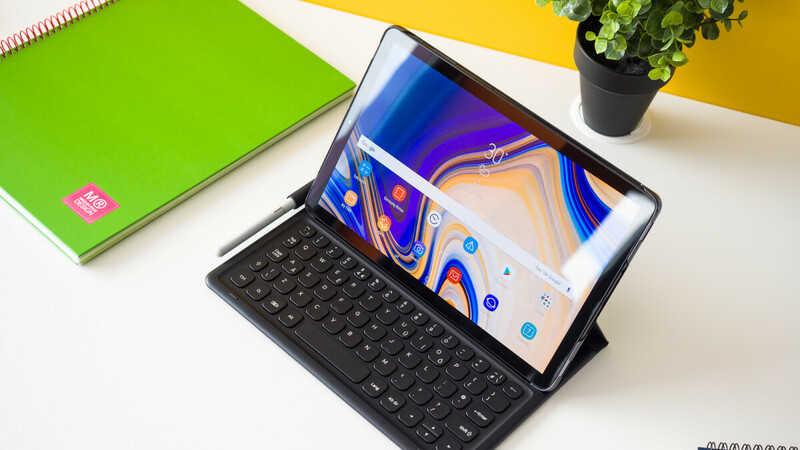 It's also worth mentioning that Android 9.0 Pie might not be the last major OS update the Galaxy Tab S4 will receive, although you'll probably have to wait another year or so for Android Q to arrive. Hopefully, it will improve that abysmal face recognition and ok, but not that great idle battery life. + I have already experienced unlock bug, so let's hope they fix it too.